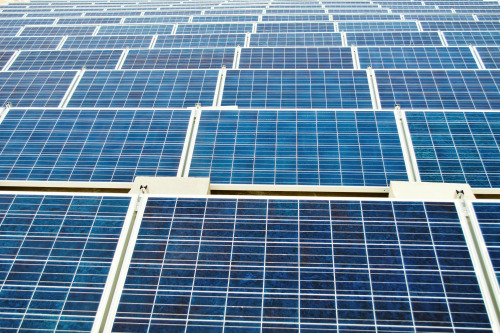 300 gigawatts of solar power capacity is now installed globally according to the German Solar Association BSW-Solar (image courtesy of Shutterstock). In 2016 there was a global deployment of solar power systems with an additional nominal capacity of around 70 gigawatts. That amounts to a jump of around 30% in new deployment compared to the previous year 2015. The photovoltaic systems installed in 2016 alone generate around 90 terawatt hours of clean solar power. In mathematical terms, this new capacity would supply 25 million additional households with an annual electricity consumption of 3500 kilowatt hours. “The utilization of solar power has really picked up momentum in many countries around the world. As the global thirst for energy increases, more and more governments and investors are committing to clean forms of energy,” explains Carsten Körnig, Chief Executive Officer of the German Solar Association (BSW-Solar). China’s National Energy Agency (NEA), for example, stopped the construction of around 100 coal-fired power plants with a nominal capacity of over 100 gigawatts, while at the same time installing photovoltaic systems with a nominal capacity of around 34 gigawatt peak (GWp) in 2016. This makes the “Middle Kingdom” the largest business market for PV, followed by the United States with around 13 gigawatts and Japan with around 9 gigawatts. A strong photovoltaic market is also developing in India, where forecasts predict growth of 8 to 9 gigawatts for 2017. In a current study, the World Economic Forum (WEF) determined that in over 30 countries around the world, photovoltaic technology is already so inexpensive that it can be operated profitably without financial support. An increasing number of countries are finding that it is more economical to invest in PV and wind power plants than in coal-fired power plants. The Fraunhofer Institute for Solar Energy Systems, in a study conducted for Agora Energiewende, arrived at the conclusion back in 2015 that in many parts of the world solar energy will soon be the most inexpensive source of electricity.